vGuruSoft Video Downloader for Mac High-speed Video Downloads from YouTube, Facebook, Vimeo and more than 1000 sites on Mac! vGuruSoft Video Downloader for Mac is a professional high-speed Mac video downloader to batch download video and audio files from YouTube, Facebook, Dailymotion, Livestream and more than 1000 streaming sites on Mac. Different video resolutions can be selected before downloading videos, which including standard definition and high definition. It is a common knowledge that YouTube videos can not be downloaded easily because there is not a direct download button on YouTube. 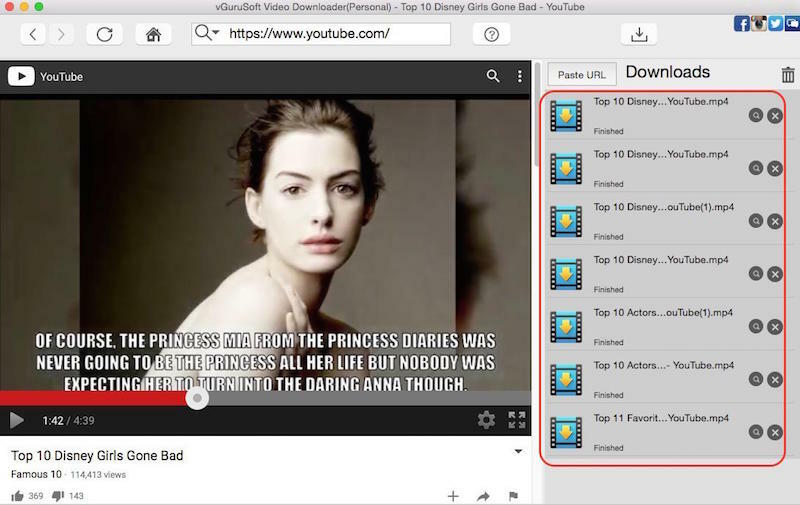 But now users are able to simply download YouTube videos and enjoy them without network connection with vGuruSoft Video Downloader for Mac OS X. All users need to do is that play the target videos in this fast video downloader for Mac. Different video resolutions can be selected before downloading videos, which including standard definition and high definition. Users only need to choose the resolution of target videos being downloaded, then vGuruSoft Video Downloader for Mac will download the movie with the selected resolution automatically. In addition, this excellent Mac video downloader allows users to search and download all available subtitles of the target video therefore they are capable of enjoying foreign movies without limit. vGuruSoft Video Downloader for Mac supports downloading videos, music files and live streaming from YouTube, Facebook Dailymotion and many more media streaming websites on Mac with extremely high download speed and maximum stability. Integrated with a easy-to-use interface and advanced technology, vGuruSoft Video Downloader for Mac allows users to play and preview the target videos with the intutive built-in web browser. What is more, this ultra-fast Mac video downloader supports to pause or cancel ongoing downloads and resuming of interrupted downloads. 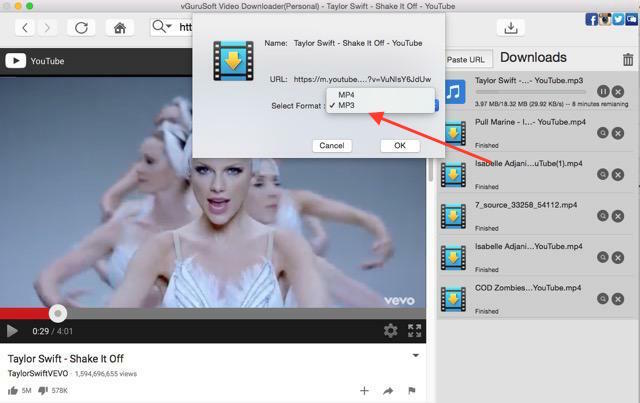 vGuruSoft Video Downloader for Mac OS X (10.10 Yosemite, 10.11 El Caption included) will name the downloaded videos and music files with an unique file name thus users can seek out the downloaded media streaming files with ease. By the way, the downloaded videos and music files will be stored in the “Movies” Folder of the system. Users can also located the downloaded files by clicking "search" button in this Mac video downloader. Simple-to-use but powerful video player for Mac to play any movie and music with ease.